What do you get when you take 2000 years of Hungarian skin care wisdom and inject some hi-tech innovation in a Nobel Prize-winning laboratory? Omorovicza, that’s what! 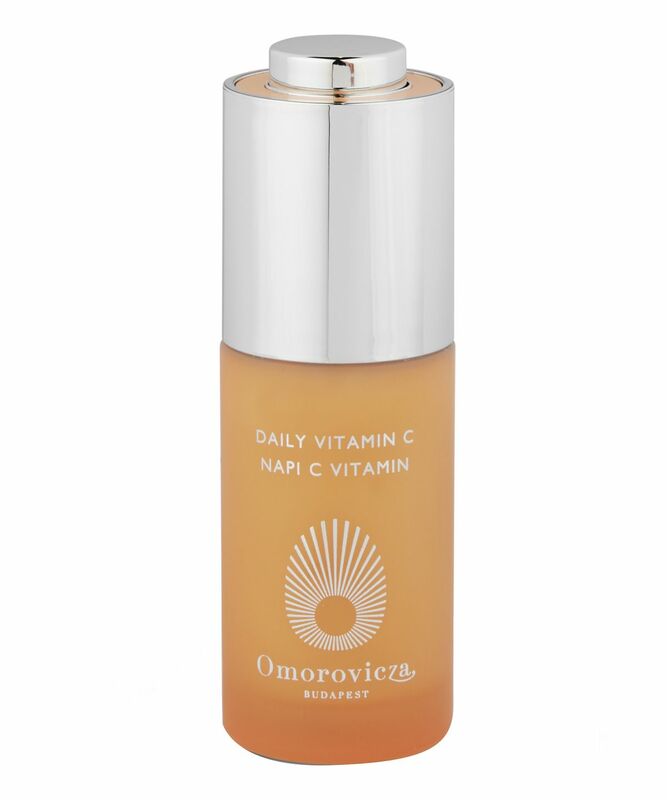 A brand-new addition to this beloved brand, Omorovicza’s Daily Vitamin C provides essential daily protection against environmental aggressors while stimulating the production of collagen. 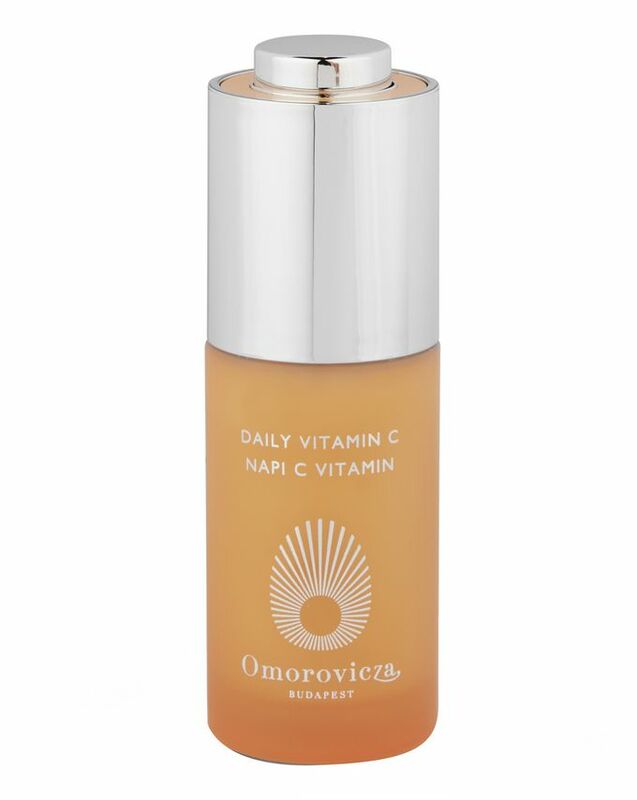 We’re already wondering how we ever lived without an Omorovicza’s Daily Vitamin C. This potent milky serum unites a rich, daily dose of the antioxidant-rich vitamin in two forms (sodium ascorbyl phosphate – a highly stable form of vitamin C, as well as Kiwiberry – a naturally potent source of vitamin C) along with hyaluronic acid, watercress extract, zinc and niacinamide to create a powerhouse product you will not regret investing in. 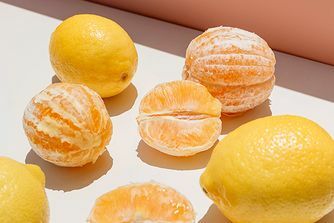 Not only does this potent form of the vitamin provide excellent daily protection against environmental aggressors, stimulate the production of collagen and reduce the appearance of fine lines, wrinkles, dark spots – it also creates a more even skin tone and brightens your complexion for a more youthful look. The inclusion of watercress extract, niacinamide and zinc also help to inhibit the production of melanin, reducing pigmentation and correcting your skin tone further, while hyaluronic acid delivers much needed moisture and aids its retention for a plump and soft result. Крем легкий, чуть липкий после нанесения, пахнет не очень приятно, иногда возникают проблемы с помпой. Крем не поняла, не увидела эффекта, кроме легкого увлажнения. ***The cream is light, slightly sticky after application. It doesn't smell very nice and sometimes there are problems with the pump. The cream did have any noticeable effect, except for a light moisture. I received a sample of this product with the last goody bag. I usually use Drunk elephant C-firma serum and tried to replace it with Omorovicza. Never thought that any beauty product can literally burn your skin. I had to recover more than a week after this. Never give it a try again. I do love this brand and this is a good vitamin C serum but I don’t find it any better than other serums half the price.I am pleased that I got to try the mini but would not purchase the full size. This comes in a beautiful bottle (however the dropper can be slightly testing sometimes when it doesn't want to pick up any product) and is a very lightweight fluid that absorbs quickly and works well under my favourite moisturisers and SPFs without affectively my skin care or make up at all. I've noticed it gradually improving the appearance of my scars and it's adding a lovely glow to my complexion too! Very, very happy with this! I love Omorovicza skincare and was so happy to see this new addition to their range. This is a lovely, light, milky serum which absorbs deep into the skin immediately. It doesn’t oxidise on my skin, it doesn’t pill. It’s wonderful. It is my favourite vitamin-C Serum. 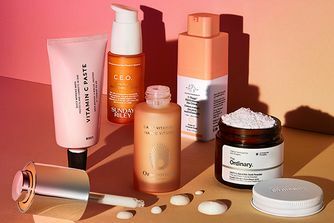 It’s supercharged with goodness and so worth the investment into good skincare. I have already clicked on the wait-list, so that I can replenish my bottle. I used this an extra with my existing vitamin c skin creams - just when I felt my skin needed that bit more. And it seems to work fine. No irritation - it was OK. I received this as a sample size in the goody bag. This clumps up as soon as you apply a moisturiser on top which is really annoying, making it especially bad for underneath make up. I love this brand, however, I can’t believe this costs £87, I do not think it’s worth the money. Since using this daily my skin is looking much brighter. Put on first and let it absorb for a couple of minutes before adding moisturiser. This serum does make your skin look a lot brighter and more even. However when you put moisturiser on top of comes off in clumps. I’ve used this with a few different moisturisers including Charlotte Tilbury and la Roche Posay but it happens with any. It’s far too expensive for the result. Murad vitamin C is the best I’ve used and would recommend if you’re looking for a vitamin C serum.